NerdWallet’s scoring of the best single-serve coffee makers is based on our analysis of the opinions of experts and shoppers like you. There are a lot of things to consider when choosing a coffee maker. 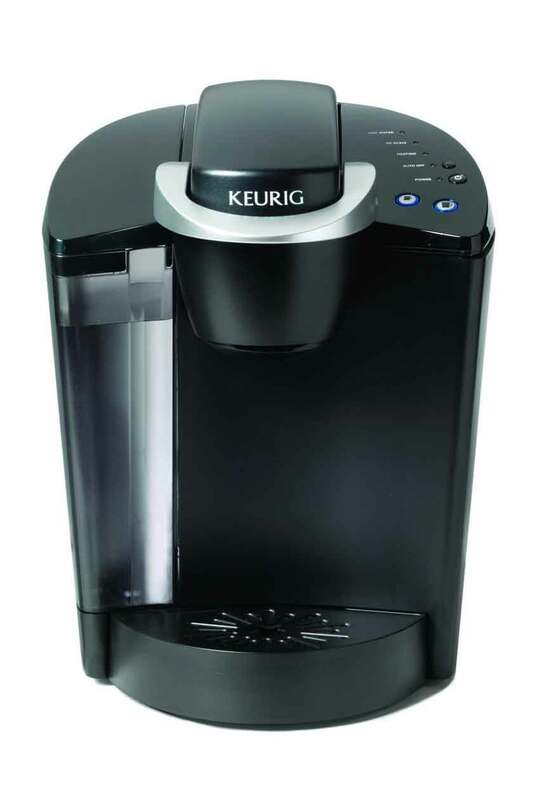 Do you need a single-serve brewer or one that makes 12 cups at a time? Do you like your coffee strong, weak or in between? Coffee quality: This score reflects reviewers’ satisfaction with the quality of coffee the maker produces. This includes coffee taste, temperature and brewing. Ease of use: This score indicates reviewers’ satisfaction with how easy the coffee maker is to use. This includes aspects such as cleaning, setup, design and features. 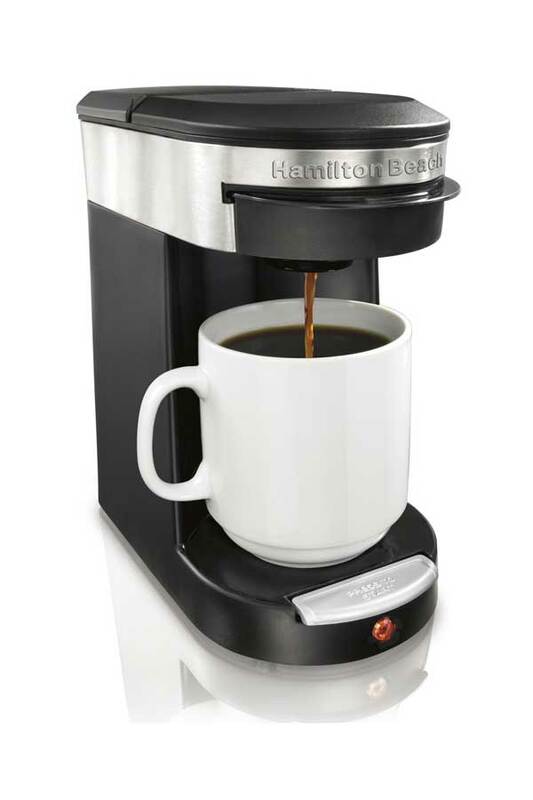 The ease of inserting a pod, pouring in water and then just pushing a button to get a fast, fresh, hot cup of coffee made the Hamilton Beach Personal Cup One Cup Pod Brewer (49970) popular with users, who praised its durability and ease of use. Sometimes leaks water and makes a mess. 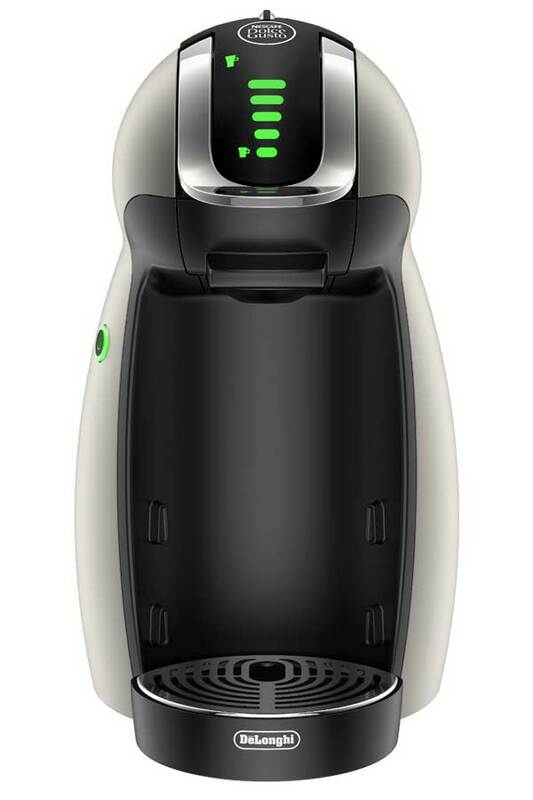 Whether you want a cappuccino, an espresso or just a plain cup of joe, the DeLonghi Dolce Gusto Genio brews your cup quickly and efficiently. Some users complained that the lack of auto shut-off means you can’t walk away while it’s working because it will overflow. Coffee not hot enough for some. 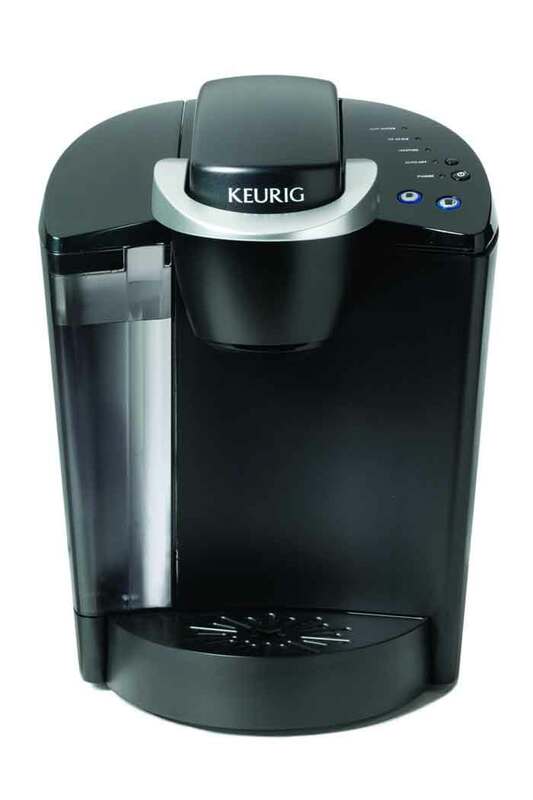 Users loved that by just inserting a pod and pushing a button, the Keurig K40 Elite Brewing System dispensed coffee, tea, hot cocoa or iced beverages in less than a minute. There are three cup sizes to choose from. Instead of using a pod, The Scoop Single-Serve by Hamilton Beach uses a scoop of your choice of ground coffee to brew a hot cup of joe. However, some users complained that the coffee was too weak. 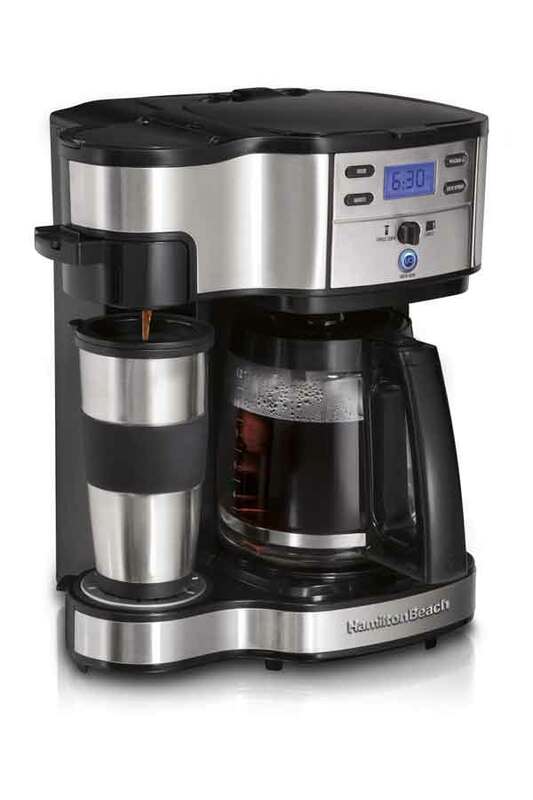 The Hamilton Beach 2-Way Brewer lets you make a single cup or a full pot by using a pod or scooping your own coffee. You can even use the timer to program it a day ahead. 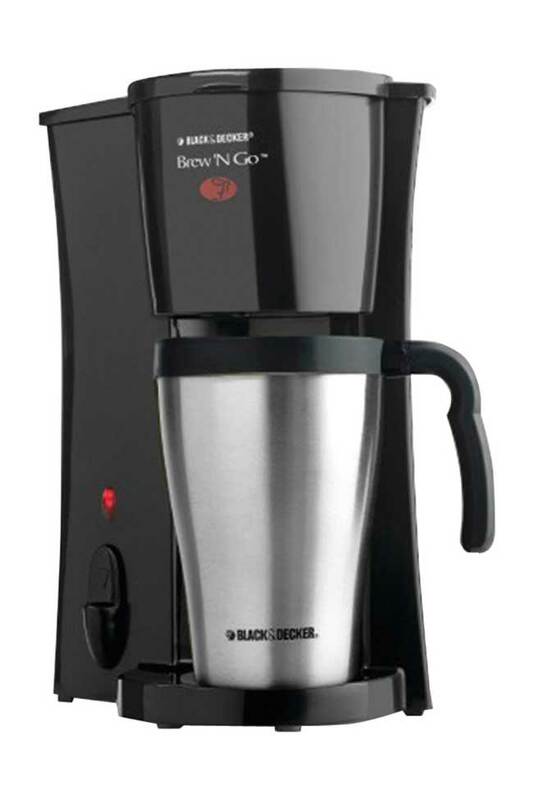 The compact Black & Decker Brew ’n Go Personal Coffee Maker (DCM18S) is equipped with a permanent filter and automatic shut-off and lets you brew pods or your own ground coffee. It brews directly into a dishwasher-safe, stainless steel 15-ounce travel mug that’s included. 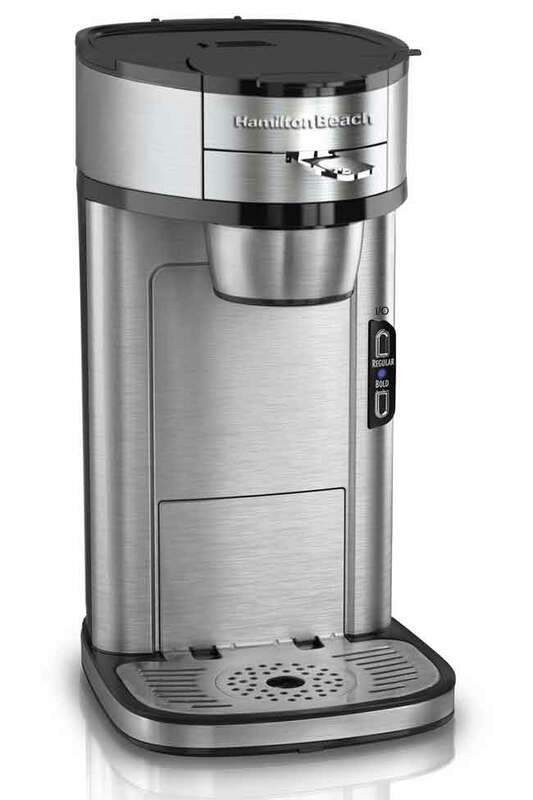 The sleek Cuisinart SS-700 Single Serve’s 80-ounce removable water reservoir eliminates the need for frequent refills. 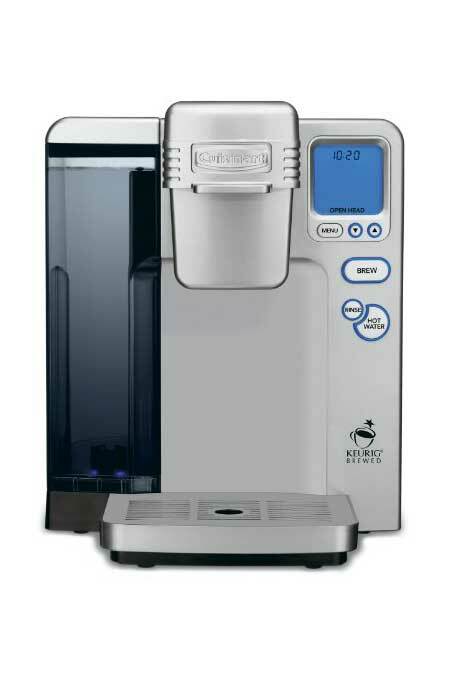 The maker offers a choice of five cup sizes; has a fully programmable backlit digital clock, auto on/off and adjustable temperatures; and comes with a K-Cup reusable filter, charcoal water filter and 12-pack of K-Cups. 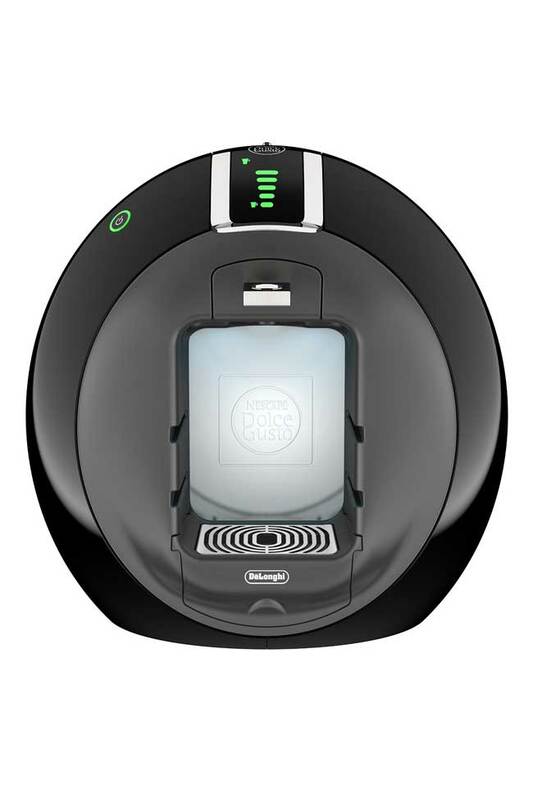 Whether you’re craving a cappuccino or a plain old Americano, the sleek, futuristic-looking DeLonghi Dolce Gusto Circolo brews a quick, delicious, cafe-quality cup every time. 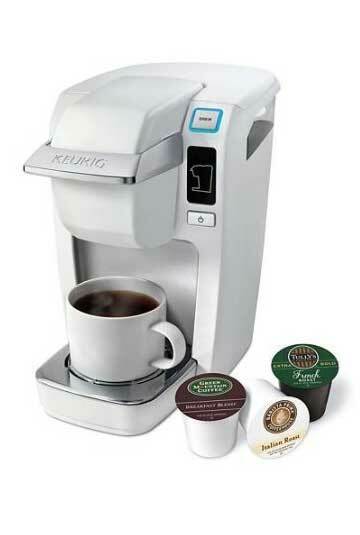 The cheerful-looking Keurig K10 Mini Plus comes in a variety of colors and brews a perfect 6-, 8- or 10-ounce beverage in less than two minutes.